The Tacoma Fire Company is part of the Deptford Fire Department. 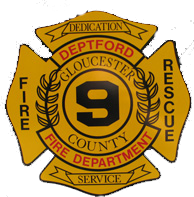 To get involved and VOLUNTEER to help your neighbors, you must complete an application with the Deptford Fire Department. Applications can be picked up at the Deptford Fire Administration Building, at any fire house or on line at the link below. Training is at no cost to you except your time. The Fire Department provides the training, the equipment, uniforms, insurance, and much more.